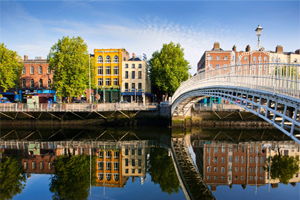 Promoting Dublin as a destination for conferences and events is key to the growth of the city. This is according to Failte Ireland, the National Tourism Development Authority, which welcomed a recent Irish Tourism Industry Confederation (ITIC) report on capitalising Dublin’s potential. It said the report is a valuable contribution to its ongoing work to develop the full tourism potential of the nation’s capital city. This year, Fáilte Ireland’s Dublin Convention Bureau (DCB) announced that business is up by 30% on the same period last year with over €22 million in confirmed business for Dublin. Promoting Dublin as an attractive destination for conferences and events, the DCB team has this year already completed 141 leads, conducted 20 site inspections and submitted 10 congress bids and is on track to convert €52.5 million euro worth of business tourism to Dublin.